Giving thanks with a grateful heart can shine a light in our hearts. Events such as commencement exercises, anniversaries, foundation days, family days, teachers days, and other similar events may involve a great amount of resources. A simple thank-you letter for our beloved benefactors for a successful event would be fitting for extending their generosity. Check out these Sample Letters all for your convenience. These sample letter templates will make a great starting point. They come in MS Doc and PDF file formats, are professionally formatted for your convenience, and will prove to be a helpful companion. There’s always that big event that requires a huge amount of resources. It could be for community extension services, college week, school foundation day, sports festivals, and a lot more. Event benefactors don’t knock on your door, and thus prospecting for a benefactor will be an option. Giving these potential benefactors a formal donation letter can create a positive perception of you and foster linkages, and may also develop camaraderie within your institution / organization. 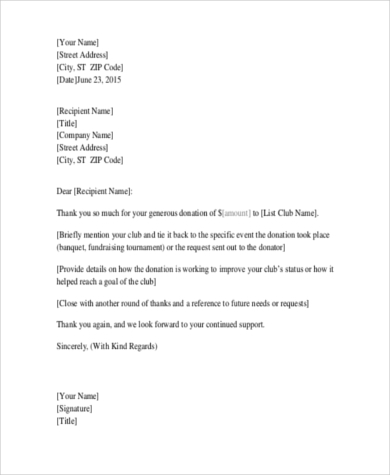 Create your own donation letter with our helpful tools. 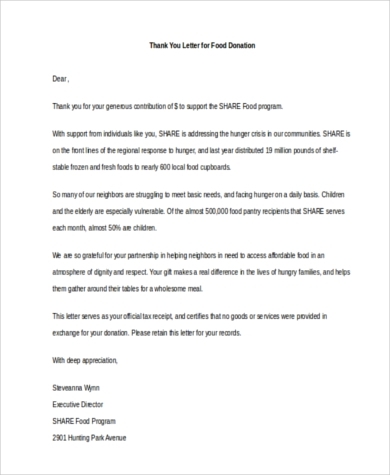 Check our Donation Letter Samples, all for you to download for your convenience. 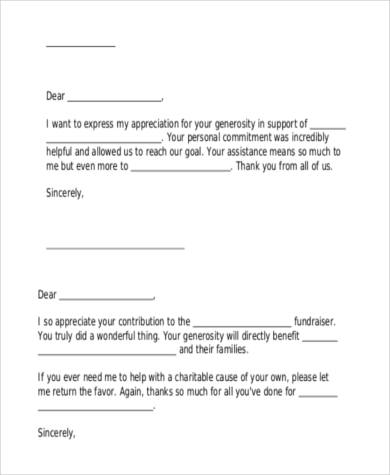 All these Donation Letter Samples provide you with a high standard guide as you correspond with whoever you need to. Putting your letterhead and noting the benefactor’s address in your letter lends it more credence. These simplified and easy-to-understand donation sample letters are all for your convenience. After a successful job interview, and with the management confident in your skills, they will hire you as they now deem you an asset to the company. A simple and formal letter is to be appropriately handed to the management. This will forge a positive perception of you as you share the goals and vision of the company. Unprofessional thank-you letters submitted after a job interview would only burn the bridge before you even get there. Having trouble figuring out what to write for a formal and professionally mannered thank-you letter? Worry no more for this Thank You Letters After Interview sample format will help you craft those words to get your point going. With these as your companion, you will be guided accordingly with steps, all for your convenience.